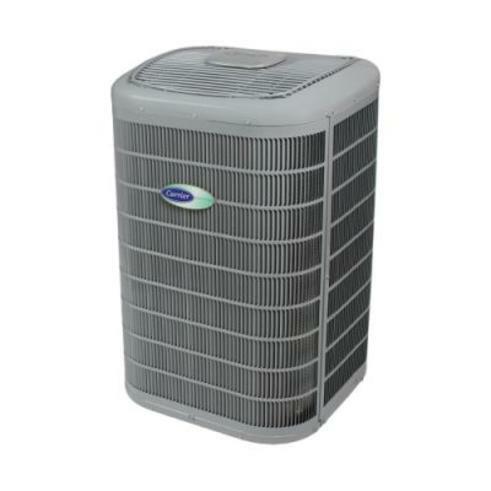 The Infinity 18VS heat pump is different in a lot of ways. It offers variable-speed compression that can step down in 5 stages to as low as 25% of its capacity. That’s huge from a comfort perspective. The ability to run in lower speeds most of the time makes it quieter and more adept at removing humidity in the summer. It’s also significantly better than a 2-stage unit at keeping temperatures even. Plus, those lower speeds are the sweet spot for the unit’s best efficiency levels and for getting the most benefit out of other systems you might have like an air purifier because of more constant air flow through the system. And, it’s seldom you can upgrade your system a component at a time. Most often, the leap to higher efficiency and better comfort via a communicating system for that home you love, can mean you have to deal with the cost of a whole system even though only your outdoor cooling unit has called it quits. The Infinity 18VS could change that for you. Your Carrier® expert can help you determine if it can work with your existing indoor unit so you can upgrade in steps. 3 To the original owner, when product is used in a residence, a 5-year seacoast corrosion parts limited warranty. See warranty certificate for complete details. Oasis Heating & Cooling 105 E. Tate Ave. Copyright by Oasis Heating & Cooling 2019, All Rights reserved.